« Humanzi Play Final Show? Well folks, the rumors are true. Legendary (yet semi-fictional) Irish band, The Commitments are set to reunite for four shows next year, marking the twentieth anniversary of the film’s release. The O2, Dublin on March 19th. Tickets are priced €55.80/€59.80 (£36/£40 in Belfast) and go on sale from Ticketmaster on Friday, October 15th. The news is currently being launched at Liberty Hall with the cast set to play a small show for press. We’ll add an update as soon as all the facts are in. We know reuions are a given these days but this is one no-body thought could ever happen but after 20 years of Irish people sitting around constantly calling for one, it appears prayers have been answered and we’ll all finally get to see the saviors’ of soul on a live stage. Tickets There will be fighting with internet connections and probably a million Irish and international folks to grab tickets for The O2 so…back off, they’re ours 😀 Also, the band will be donating a percentage of each ticket sale to Irish Cancer Society (and no, they haven’t lost their concern for the growing heroine problem, they just want to spread the help around). For more information about the tour, please check out The Dedicated FaceBook Page which has all the info. 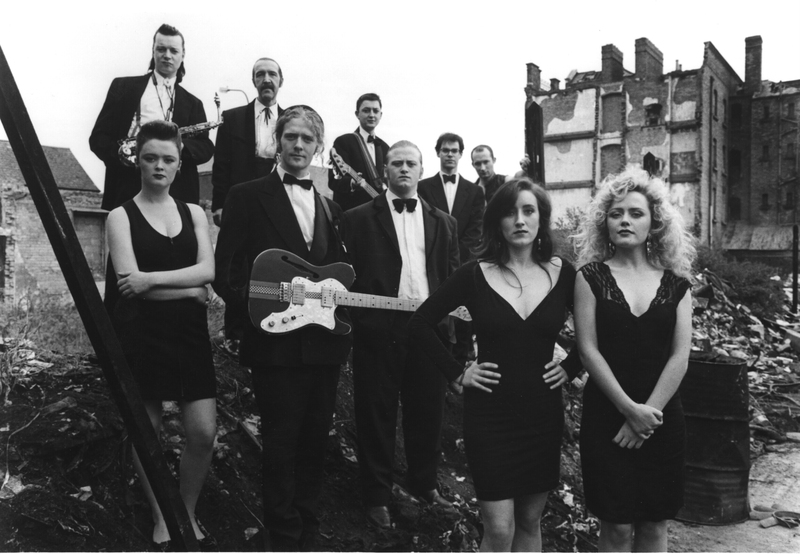 This entry was posted on October 6, 2010 at 11:26 am and is filed under IRISH NOISE!, Music, News with tags 2011, 2011 tour, Castlebar, The Commitments, The Commitments Mayo, The Commitments O2, The Commitments reform, The Commitments reform 2011, The Commitments reunite, tour. You can follow any responses to this entry through the RSS 2.0 feed. You can leave a response, or trackback from your own site. will you being touring in the United States in the future? You must have a following here. My family loves your music. Please repy. Any plans to tour the UK in 2012?